Many would already know that Facebook's standalone Messenger app for Android and iOS has location sharing on by default. The location shows up just below every message but most people didn't care much. But what everyone was unaware of was how accurate the location data, was or how simple it was to track someone. A student named Aran Khanna at Harvard College has discovered that the Messenger can actually allow Facebook friends users chat to accurately find their location without their knowledge. Khanna has claimed on his blog post that Facebook has notified him that it will be fixing the issue soon. 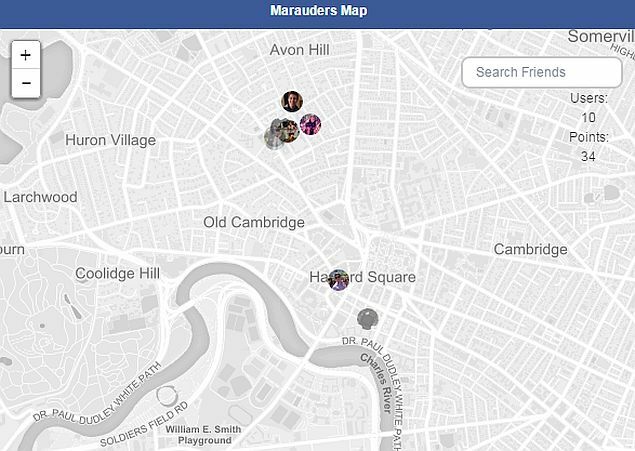 Khanna created a Chrome extension called Marauders Map, which collects location data from Facebook's Messenger app via the Mapbox API and plots them on a map. The Chrome extension only requires location sharing on the Messenger app with GPS turned on the mobile and it could retrieve location from messages sent with location sharing enabled. Khanna noticed that his Chrome extension could plot latitude and longitude coordinates of the message location, and claimed that they had over "5 decimal places of precision." More alarmingly, Khanna found that he could also track locations of people whom he was not Friends on Facebook with, but only those he interacts with on Messenger. "I am currently in a large active chat to organize poker games with some fellow students, many of whom I am not Facebook friends with. However, I can still track their locations extremely accurately from the messages they send the group," said Khanna on his blog. On days when Khanna used Messenger app for hours, he spotted that the location history of the Marauders Map was nearly identical to the phone's location history. Engadget however contradicts and claims this isn't "real-time tracking method." It explains that the extension compiles the data from Messenger into a map. Also to be noted, is that people can track you only if you have interacted with them, not just using Facebook or Facebook Messenger in general. The whole idea of how someone can track your exact address via the location sharing feature enabled in an app sounds like a conspiracy out of a Hollywood movie. The point is it leaves a lot to think about, as the Marauders Map can be a treat for stalkers of Facebook friends. So, till Facebook rolls out a fix, who do you avoid being stalked by friends and others you interact with on a daily basis? People can turn off location sharing feature on their mobile apps via Settings > Location Services. This won't stop them from tracking your old location history but will prevent your location sharing for future messages. Considering that Facebook has been notified about this very public privacy issue, and has already replied it would be delivering a fix, we can expect the fix to be released sooner than later. Also, Khanna's Marauders Map extension is no longer active, as it has hit the Mapbox API limit.